Your drum tracks are only as good as the drummer behind the kit. 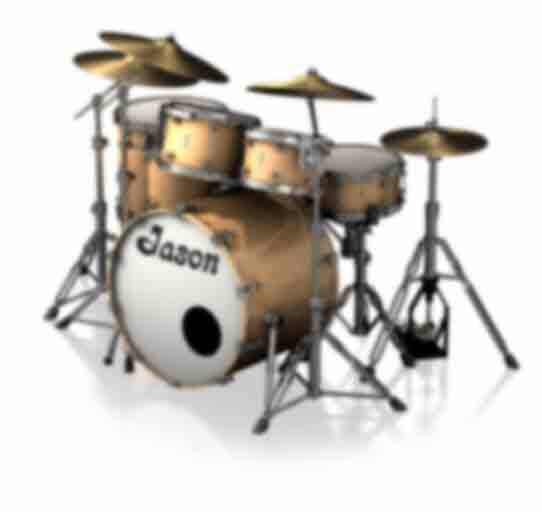 The London Grooves instrument collection for SampleTank 3 brings you two of the best: Jason Cooper, drummer for The Cure and David Bowie; and Jeremy Stacey, who has recorded for hundreds of artists like King Crimson, Noel Gallagher's High Flying Birds, Ryan Adams, Roger Daltrey, Sheryl Crow, Tom Jones, etc. Created by multiple GRAMMY­ award winning engineer/producer Cameron Craig and made in collaboration with Filippo Gaetani of Ray Recordings, London Grooves offers more than 1500 high-quality WAV files, 1200 ready-to-mix drum stems, and 300 stereo grooves, all recorded in legendary London studios The Pool and Narcissus Studios. It represents the ultimate resource for producers and musicians who are looking to incorporate the iconic London drum sound in their productions, and covers a massive range of rock, pop and indie styles. The collection includes finely recorded drum grooves with unsurpassed authenticity and character that will elevate the level of your productions. Different from the many anonymous-sounding drum loop collections, we dove deep into the creation process of this library to give you nothing less than the most genuine performances. Every beat, every stroke, down to every single ghost note, embodies the unique playing abilities of these drummers: two different stories and approaches to music which intrinsically flow in the DNA of these loops. The nitty gritty of London Grooves. 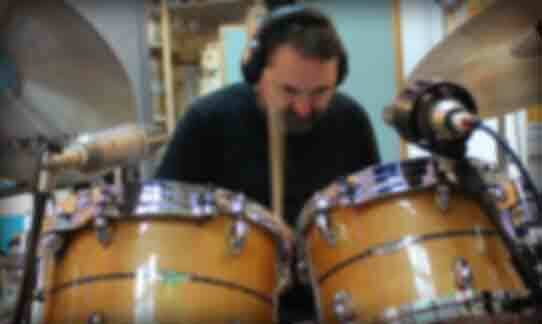 Drums are a challenging instrument to record. If you aim for the best results possible, there are no shortcuts to be taken. You need great players, exceptional rooms, skilled engineers and a selection of the right equipment. Jeremy Stacey's recording sessions took place at The Pool, one of the most iconic facilities in London. The Pool's beating heart is an ultra-rare EMT console surrounded by some of the most coveted analog equipment by Altec, API, Urei, Tube-Tech, Chandler, Neve, and ADL. The studio has two astonishing live rooms, each with its distinctive sound signature. 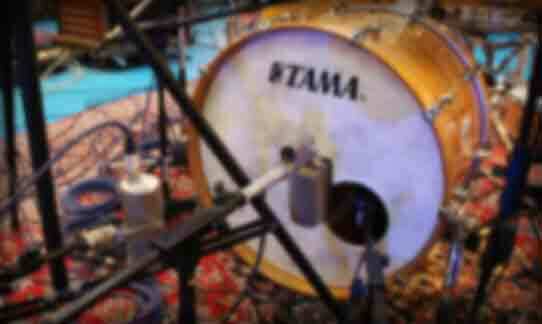 The main live room is large and spacious, with a "warehouse feel" that makes drums sound surprisingly well controlled. For the session, Jeremy used his Tama Star Maple drums in a 22” 12" 13” and 16” configuration, a Tama Starphonic snare, a Vintage Slingerland snare and his one-of-a-kind White Rogers snare and Istanbul Agop cymbals. Microphones included Neumann FET47s, an AKG D30 on the kick drum, Neumann U87s on toms and STC4038’s as overheads, fed into classic Neve 10 series pre/EQs. 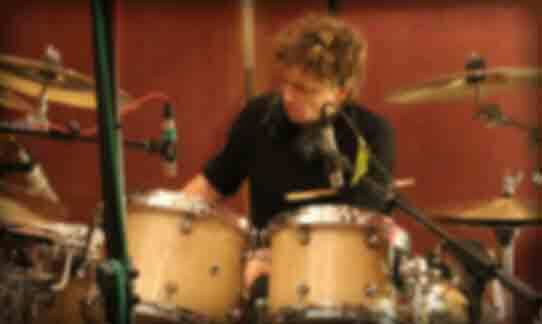 Jason Cooper recorded in the live room of Narcissus Studios in Willesden, London, where he brought his extensive collection of drums for the occasion. Starting with a Brady kit in Jarrahwood and a Ludwig 14x6” Black Beauty as the basis, the configuration included different kick drums and snare drum models and sizes from Noble and Cooley, Yamaha, and a selection of Zildjian cymbals to best suit the attitude of the recorded beats. For the drum sound, a mix of vintage and modern microphones were used along with various Neve 1064 pre/EQ modules, with UA 610, Analogue Addicts or Sontronic Sonora II preamps called into action on occasion. To create pristine sounding loops but with grit, drums were processed using vintage compressors like Gates and Urei's as well as Sansamp units for a bit of distortion and attitude. Now take all these ingredients, give them to veteran producer and mixer Cameron Craig and listen. 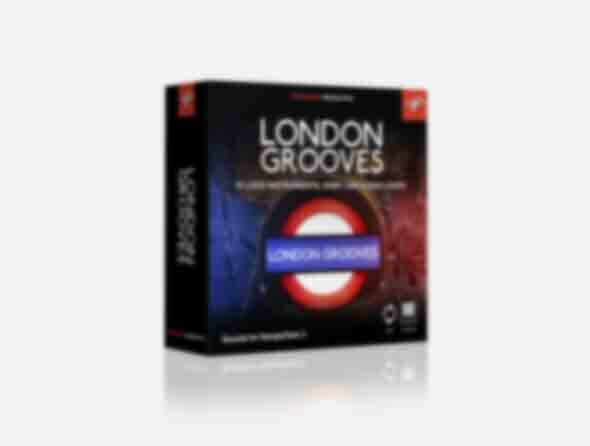 It goes without saying that the London Grooves library brings together all their recording and producing expertise, putting it at your service. Thanks to the flexibility and power of SampleTank's engine you can explore countless creative possibilities but with a unified approach to treating an instrument like a drum kit, which by nature is typically recorded using multiple microphones. We came up with the idea of treating loops just like the parts of a real drum kit, with its multi-mic setup, and we eventually ended up with stems, where multiple audio loops of Kick, Snare, Toms and Room Mics run simultaneously. 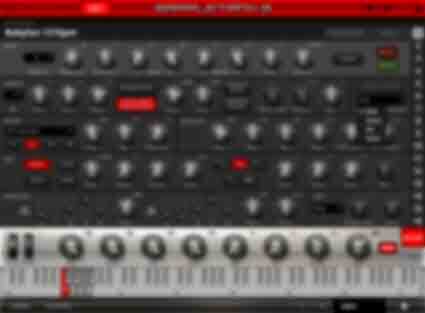 Stems come as separate SampleTank Elements, allowing individual editing of synth-like parameters like pitch, filter, envelopes, and LFOs for a highly creative outcome, whereas SampleTank Macros let you dynamically adjust the level of each stem independently as you would do on a real analog mixing console. 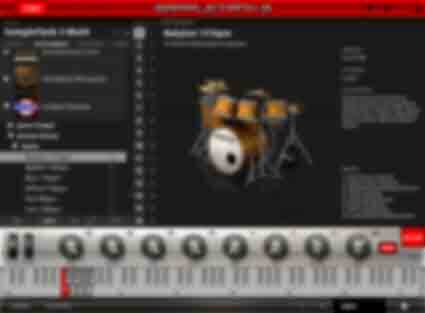 This collection also comes with stereo mixdown versions of ST3 Instruments. In addition, 44.1kHz/24-Bit WAV files are also available, for immediate drag and drop into your session. He also won another Grammy award in the "Best Engineered - Nonclassical” category in 2008 for his contribution to the Suzanne Vega album "Beauty and Crime." Other notable accolades are Grammy nominations for Annie Lennox’s "Nostalgia" that he mixed, Bjork’s album "Biophilia," that he recorded a track on, a nomination for MPG’s Recording Engineer of the Year 2015 and recording the orchestra on Duffy's Grammy and Brit award-winning “Rockery” album. Jason auditioned for The Cure in 1994. He was asked to join and has been a member of the band ever since completing over seven world tours, four studio albums, three live concert DVDs & countless live TV appearances including David Letterman, Jay Leno & Saturday Night Live. When not touring with The Cure, Jason has collaborated with a diverse range of renowned artists including the legendary David Bowie. Jason also composes music for TV and film, most notably the score for the horror/thriller “From Within,” for which he and composer Oliver Kraus won the award for Best Original Score (2008 Solstice Film Festival). He is currently collaborating on the score for a British / American comedy “Fighting with the Family” directed by Stephen Merchant (for release in 2018). Jason thanks to Natal drums, Zildjian Cymbals and Vic Firth sticks. 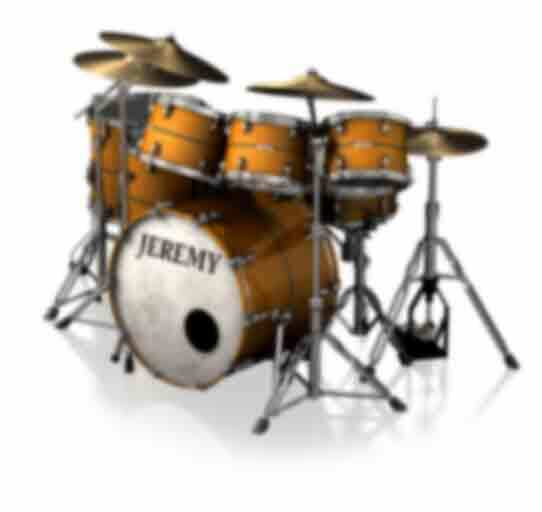 Jeremy started playing drums at the age of 12. He later moved to London at the age of 21 to attend acting school, while playing nights in London jazz clubs. Eventually gave up acting to focus solely on drumming and music production. After starting "The Lemon Trees" with Guy Chambers in the early nineties, his career turned away from jazz and moved more towards studio work and touring. Over the course of the years, Jeremy worked with a plethora of incredible artists such as King Crimson, Noel Gallagher, Sheryl Crow, Ryan Adams, Eric Clapton, Tom Jones, Glyn Johns, Neil Diamond, Joe Cocker, Sia, Tori Amos, Robbie Williams, Chris Squire, Steve Hackett, Echo & the Bunnymen, Tim Garland and many others. Jeremy endorses Tama Drums, Istanbul Agop cymbals, Remo Heads and Vic Firth sticks. Active since the mid-1980s, he started working as an arranger, bassist, and guitarist for several underground jazz-rock bands. In the 1990s, he started his work as engineer and producer, recording over 40 jazz-pop-rock albums of Italian and International acts and writing music for TV. His collaborations and productions include Stefano Bollani, Andy Bell/Philip Larsen, Katja Werker, Don Grusin, Adrina Thorpe, My Excellence, Erik Friedlander, Tessa Drummond, Peter Doran, Martin Klein, Papermoon and many others.